Love Bug Living: Puppy Party Time! Our little puppy is 2! I can't believe how fast it all goes. Just two years ago we were meeting this sweet baby for the first time. 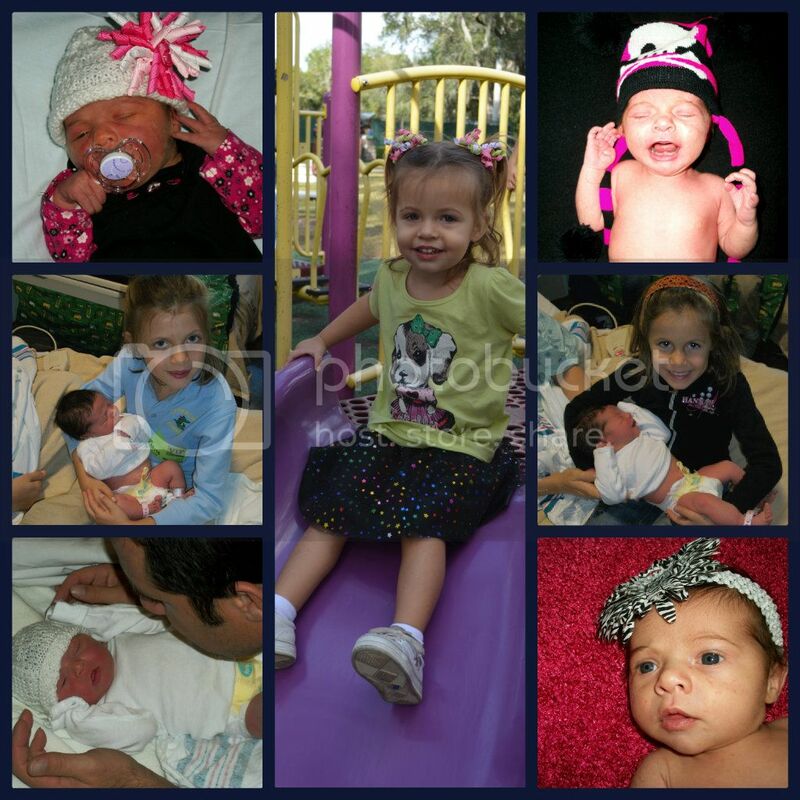 Now we have had the privilige to watch her grow and change and become the little lady she is today. She's still my little baby, but she's also becoming a big girl too! Our little pup loves our two dogs. She is always chasing after them and wanting to play with them. Although she tries to be gentle, our littlest dog knows when it is best to run and hide under the bed. She will peek under to check on him, but he is always just out of her reach. Smart dog! Not only does she love our dogs, she loves her stuffed animal dogs and has to point out every puppy she sees walking down the street. We figured she would also love a puppy party! We had the party at 2pm in the afternoon, so we served snacks for all our guests. 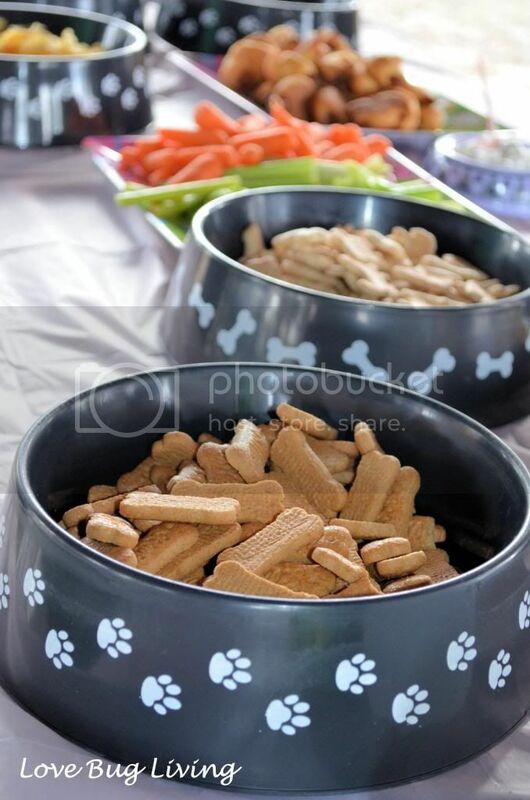 Since it was a puppy party, of course all the snacks had to be served in giant dog bowls with dips in small dog bowls. Don't worry, they were all brand new and washed for the occasion. We had normal snack foods like veggies and chips, but we also had some Scooby Snack cookies and Cocoa Puffs (dog food) to go along with the theme. 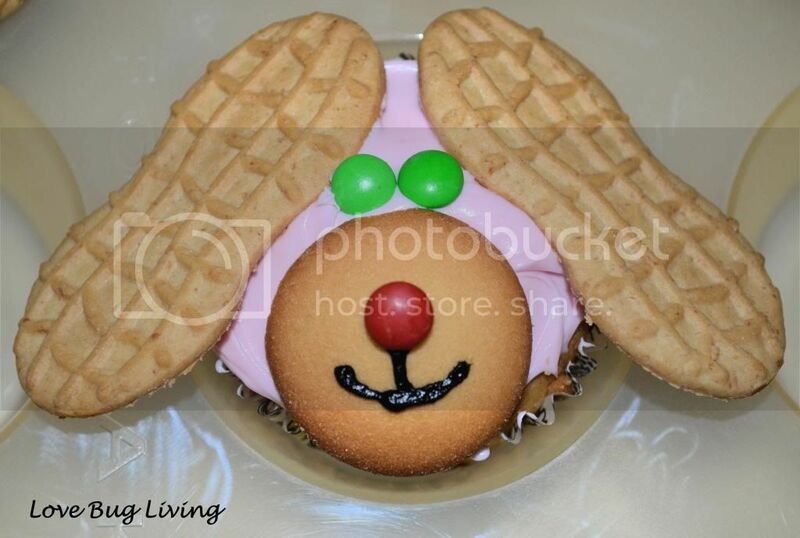 For dessert, we served Puppy Cupcakes with Nutter Butters for the ears, mini M&M's for the eyes and nose and a Nilla wafer for the face. Very quick and easy to make. 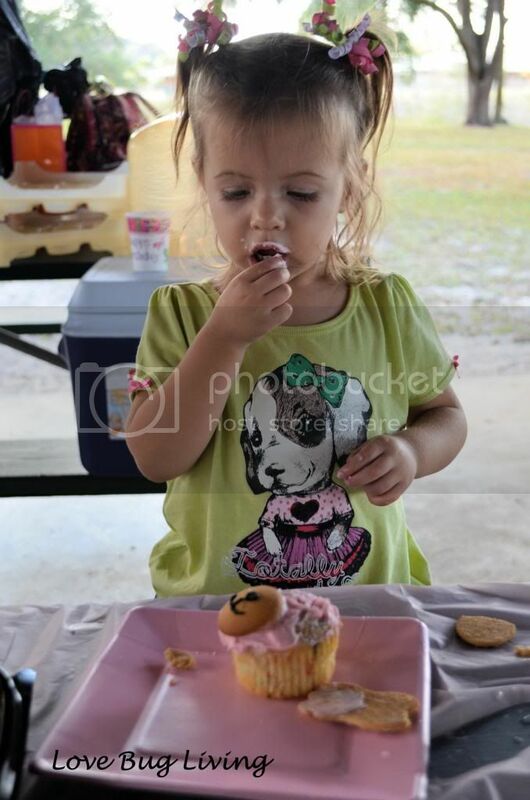 Our little pup was very excited to get her own cupcake, but definitely liked the frosting the best. 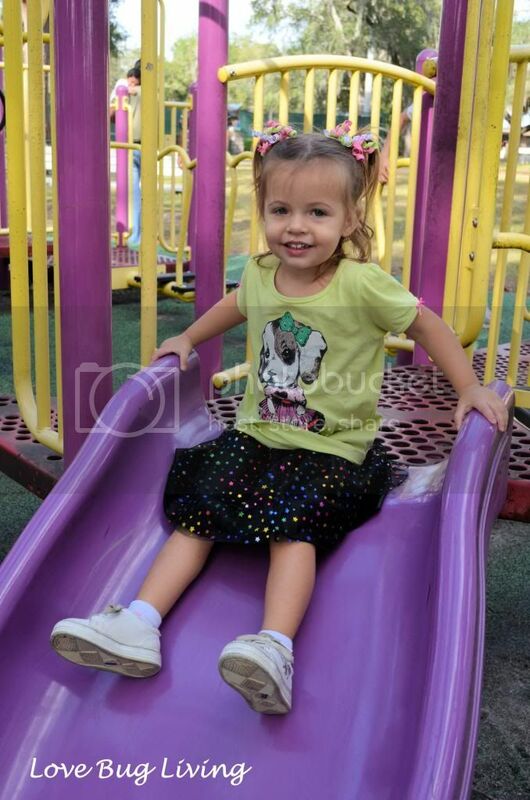 What a sweet baby girl and what a big girl she has become! I love to look at those old pictures to see how much she's grown. I miss having a little baby, but who couldn't love that big smile and the awesome hugs she gives. Happy Birthday sweet puppy! Your little one is SO cute! 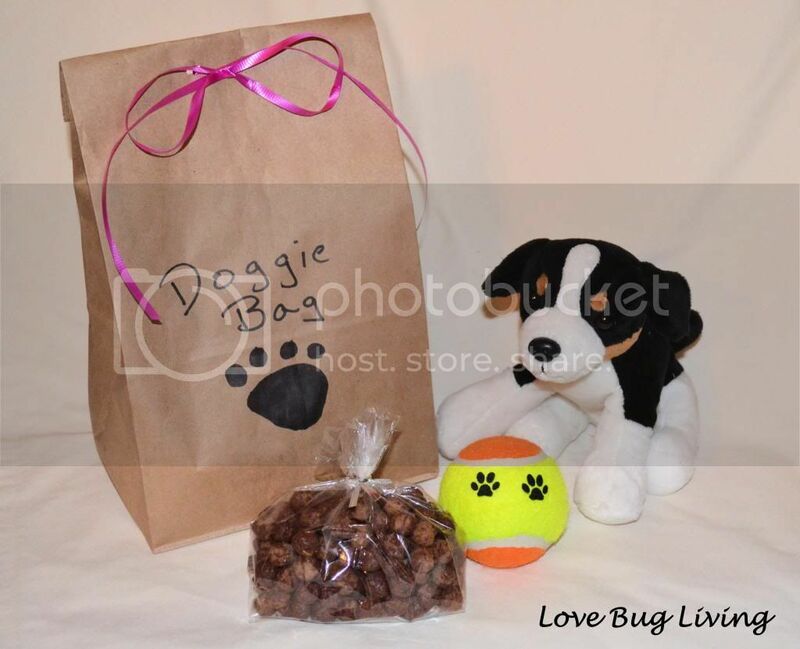 I love those doggy cookies :) I have a giveaway running right now & would love for you to enter it!